Cannabinoid Hyperemesis Syndrome (CHS) is a relatively “new” syndrome as J.S. Allen et al. (2004) first described it in medical literature after he and his team observed several patients with this condition hospitalized in Southern Australia in 2001. Initially, CHS was thought to be a relatively rare syndrome but the numbers diagnosed with CHS are increasing. There may be some sound reasons why CHS may be on the rise and why knowing about this syndrome could be important if you are or know someone who uses marijuana heavily and frequently. Since the only way to “cure” CHS is total abstinence of cannabis use, once someone experiences CHS, they will either have to quit using marijuana completely or be prepared to risk recurrent episodes of the syndrome, as well as significant side effects including, in extreme cases, kidney failure. Luckily, if supported with hydration, kidney failure can often be reversed with no permanent effects. Emergency room and emergency department doctors are more familiar with CHS as they are the most likely to encounter people afflicted with it. These patients often arrive in a state of dehydration from unrelenting vomiting and nausea combined with abdominal pain that forces them to seek emergency care. A single episode of CHS can last for several days. CHS symptoms can present as similar to any number of gastrointestinal issues making diagnosis even more difficult. CHS sufferers may be admitted to the hospital for dehydration and support during the hyperemetic phase. Haloperidol is often used, along with IV hydration, to treat this phase. Antiemetic therapy is generally of little to no use in the midst of an episode. Some patients diagnosed with CHS have esophagitis or gastritis present so treatment with proton pump inhibitors such as omeprazole (Prilosec®), lansoprazole (Prevacid®), or esomeprazole (Nexium®) for these conditions has been successful. Hot showers are also encouraged for vomiting, nausea, and pain relief. Hot showers have been effective for immediate relief of symptoms but their effectiveness is limited to the length of the shower. It is believed that the hot shower phenomenon of CHS may serve as a correction to the brain’s hypothalamus, which controls body temperature. It is hypothesized that the function of the hypothalamus has been disrupted by cannabis use but the hot showers may help to right it again. Narcotics for pain relief from CHS are discouraged as their use can bring on vomiting and prolong the active phase. The only known “cure” for CHS is completely stopping marijuana use. Moderation of marijuana use has not been shown to be effective. Hundreds of chemicals are found in marijuana but THC (tetrahydrocannabinol) is the primary reason we feel high using cannabis. THC breaks down into acid metabolites that are excreted mainly through feces (60-85%) and urine (20-35%). The rest is stored in body fat which can be hard on patients with CHS as THC stored in body fat can be released when the patient has increased stress and/or is deprived of food, including the periods of nausea, vomiting, and decreased appetite that occur in phases 1 and 2 of CHS. This THC release can lengthen a CHS episode even without further cannabis use. In a recent clinical study of CHS sufferers (Chen & McCarron, 2013), the average age of onset was 25 with patients from 16-50 years of age. Most had used cannabis heavily for almost 9 years prior to developing CHS and women seem more likely to be affected than men. Another study found the average cannabis use was 16.3 years +/- 3.4 years with some reporting as few as 3 years before CHS developed. Heavy, daily use of marijuana was defined as 3-5 times or more per day. CHS is not source dependent as it has been diagnosed not only in those who smoke or vape cannabis but also those who consume edibles, etc. CHS sufferers also often have weight loss because of the incessant vomiting and can average a weight loss of 11 pounds per episode. Why Is It Hard to Diagnose CHS? CHS is tough to diagnose, as the main symptoms of nausea, vomiting, and abdominal pain are symptoms of so many other illnesses and diseases. In one study, researchers found that those look alike symptoms lead to a delay in CHS diagnosis of up to 9 years from the first episode and most patients averaged 7.1 +/- 4.3 ER/ED visits before they were finally diagnosed with CHS (Galli et al., 2011). Beyond the issue of nonspecific symptoms is the fact that marijuana use is still illegal in many areas of the country. Doctors in states where marijuana use is legal are encountering a rise in patients with CHS. These doctors are also more likely to be aware of CHS in order to be able to diagnose it. In states where marijuana use is illegal, valuable time can be lost and needless pain and suffering extended when a patient is less than forthcoming about their substance use. Ironically, the reputation that marijuana has for reducing nausea and vomiting may keep patients using it during a CHS episode in a vain attempt to deal with their symptoms. Their continued use develops into a vicious cycle of increased or maintenance cannabis use and vomiting. The patient denies or downplays their cannabis use, the doctor can’t diagnose the issue, and the patient remains ignorant of what is causing the problem so they stay locked in a cycle of use and hyperemetic episodes. CHS can also be mistaken for a similar syndrome called Cyclic Vomiting Syndrome (CVS). No one understands how or why CVS develops and its effects can be debilitating. CVS is mainly managed with determining and avoiding triggers and the use of prophylactic medications including topiramate and phenobarbital. Once an episode of CVS is triggered, there is little to do but supportive measures for maintaining hydration, just as with CHS. It’s been estimated that 50% of CVS sufferers have daily cannabis use so it becomes a question of are they misdiagnosed and are really CHS sufferers or are they using cannabis to handle CVS symptoms. This is a real life chicken or egg question With the lack of disclosure of cannabis use, some patients have been diagnosed with CVS rather than CHS. Patients with CHS may be diagnosed with and believe they have CVS, which is poorly controlled, when, in fact, they have CHS which could end completely with cannabis abstinence. Why Are Rates of CHS Diagnosis Rising? The cause of CHS is not completely understood but there are some tantalizing clues as to why the numbers of people being diagnosed today are rising when clearly cannabis has existed for thousands of years. Initially, CHS was considered a rare condition that had existed in so few people that it had failed to be recognized as a syndrome. The rising number of diagnoses could be greater awareness of the condition but there are other factors that might suggest there really is a rising rate of CHS. The modification and cultivation of strains of marijuana with higher concentrations of THC exist. In 1993, the average THC concentration was 3.4%.Today marijuana strains average 18.7% with some as high as 30%. The increase in marijuana’s legal availability allows the price to drop and consumption to increase. It is reasonable that diagnosis of CHS might increase as it has if CHS is not a rare condition but a factor of increased access and/or heavy frequent use of high potency marijuana. The exact nature of how CHS works is unknown and the well-known antiemetic properties of cannabis further complicate the explanation. 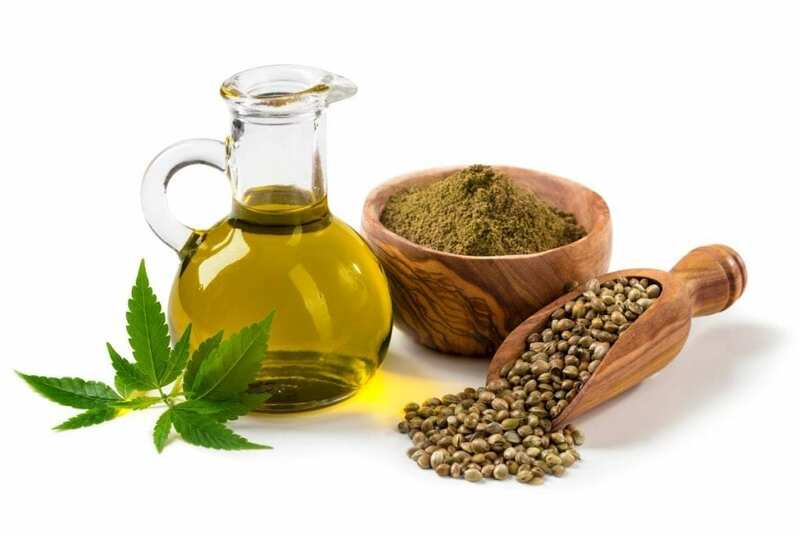 Some animal studies have shown small doses of cannabidiol (CBD), present in marijuana, do help with emesis but larger doses of CBD induce vomiting. Perhaps as consumption and/or potency increases, heavy users move toward the possibility of developing CHS. As CHS diagnosed patients increase, study subjects become more available and our knowledge of this condition, its origin, and possible treatments and cures will hopefully increase. Now the sole option for CHS sufferers is to abstain completely from marijuana use. If you or a loved one are dealing with substance use issues, including considering moderation or abstinence of marijuana use, The Freedom Model for Addictions can free you from misinformation so you can determine your best options moving forward. Please call 88-424-2626 and let us help you decide which of our options can best suit your needs. In most cases so far, it’s not the THC. Azadirachtin, the active molecule in neem oil, is what’s causing the issue. The cannabis plant holds the molecule intact for months, allowing it to be present in the flower at harvest time and beyond. Though there may indeed be THC only sufferers of CHS, the majority need only switch to clean cannabis and their symptoms will subside to nothing.